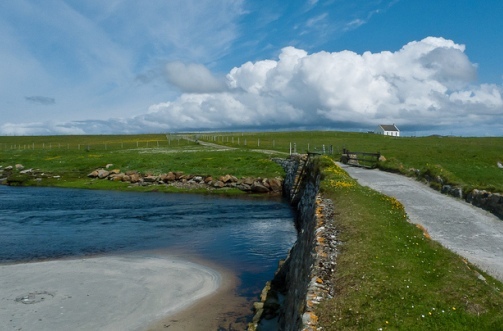 Be aware and be warned that this idyllic scene of the seashore and machair near Howmore is not witnessed, in real life, every day of the year. Howmore is in an exposed position on the Atlantic coast where winds can be strong and gales evident. This short YouTube clip gives you a taste of what happens regularly. However, the GHHT is proud that its hostel, opened almost 50 years ago, has withstood elemental forces and continues to provide safe shelter as well as to encourage like-minded people to meet and enjoy simple accommodation. You can see why an appeal for funds is necessary.